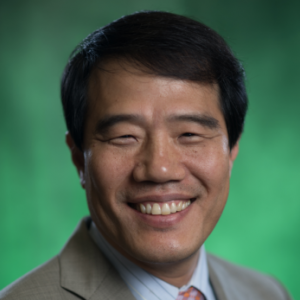 Dr. Hyunkag Cho is an associate professor in the School of Social Work at Michigan State University. His research has focused on intimate partner violence (IPV), with a specific emphasis on help seeking behaviors among IPV victims, including immigrants. Included in his research topics are victims’ perception of IPV, interpersonal and sociocultural factors affecting victims’ help seeking, and the process of victims’ selecting a source of help. Rigorous data collection from ethnic minority communities and collaboration with culturally competent scholars are emphasized through his research. Margaret Nielsen Award for Diversity Achievement. Many studies have been conducted on gender differences in intimate partner violence (IPV), producing inconsistent results. Some studies report that men were victimized by IPV as much as women were, whereas others find that IPV was predominantly perpetrated by men against women. The nature and context of IPV may be crucial to understanding gender differences in IPV, but national data collections do not regularly report on this information. This study expects to fill this gap by using nationally representative data to examine differences in the nature and context of IPV between male and female perpetrators. This study uses the Collaborative Psychiatric Epidemiology Surveys (CPES). Descriptive statistics for each gender are first obtained (n = 2,190). A discriminant analysis is used with gender as a grouping variable, including only perpetrators of IPV (n = 236). The independent variables are age, race, education, employment, financial security, frequency and severity of IPV, controlling behaviors, and the initiator of physical arguments. The study findings suggest that women and men do not vary much in the prevalence, frequency, and severity of IPV, controlling behaviors, or the initiation of physical arguments. They also suggest that those variables are rather weak in differentiating IPV against men from IPV against women. Since the study revealed some gender differences in IPV and, at the same time, encountered methodological difficulties in convincingly showing them as real gender differences, more research is clearly needed. The majority of research on intimate partner violence (IPV) has addressed male-to-female violence, although a small but growing body of literature has developed that explores males victimized by female partners. This study used data from the National Crime Victimization Survey from 1987 to 2003 to examine male victimization by comparing the nature of violence to female victimization and by exploring the effect of perpetrator arrest on preventing revictimization. The sample was comprised of 2,462 female and 298 male victims. Study variables included gender, arrest, revictimization, type of violence, injury, and use of a weapon. Results showed that men were victimized by IPV less frequently than women and received fewer injuries, although they were more likely to experience more severe violence. Police arrested female perpetrators, but generally only if injury was involved; however, arrest did not reduce male victims’ chance of revictimization. Intimate partner violence against women (IPV) affects all populations, but significant variations among these groups have been suggested. However, research results on racial differences in IPV are not only inconclusive, they are also limited–particularly with regard to racial minorities. As a result, it has been challenging for practitioners and service providers in many communities to serve an increasing number of racial minority clients. This study used the Collaborative Psychiatric Epidemiology Surveys (CPES) to examine differences in the prevalence of IPV, and associated factors, among major race groups in the U.S. Included variables were age, race, financial security, employment, education, social network, IPV perpetration and victimization, and severity of IPV. The results showed that Blacks were victimized the most, followed by Whites and Latinos, and Asians were victimized the least. Asians were the least likely to be victimized by IPV, even when controlling for sociodemographic variables. The odds of victimization for Blacks and Latinos were not significantly different from Whites. Financial security and age affected IPV victimization. Those who perceived themselves as financially secure were less likely to be victimized than those who did not. The older were less likely to be victimized than the younger. Employment, education, and social networks did not affect victimization. Race was not a significant predictor of perpetration, when controlling for other variables. Age was the only predictor of perpetration: the older were less likely to perpetrate IPV than the younger.